I can't believe I use to buy granola from the store. 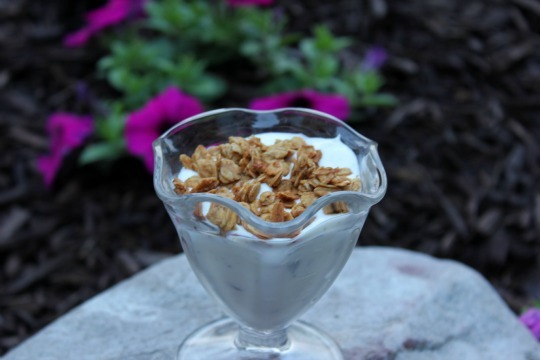 Homemade granola is SO easy and so much less expensive than the grocery store variety. Oh yeah, and it makes your house smell amazing!! The super nice people at Chobani sent me some of their greek yogurt to use in developing new recipes. After my run this evening, I wasn't much into coming up with new recipes, but I was definitely into making some peanut butter granola to put on top of the Vanilla Chocolate Chunk Greek Yogurt!! A healthy dessert that tastes fantastic - yes please! 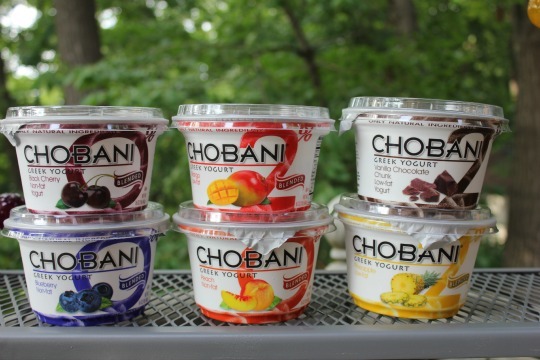 Peanut Butter Granola and Chobani Vanilla Chocolate Chunk are a match made in heaven! Place peanut butter and honey into a medium size glass mixing bowl. Heat in the microwave for 20-30 seconds or until peanut butter has melted. Add cinnamon and vanilla to the peanut butter mixture; stirring until smooth. Toss in the rolled oats and stir until oats are completely covered. Spread mixture out evenly onto the baking sheet. Bake for 12-15 minutes or until granola is lightly browned. 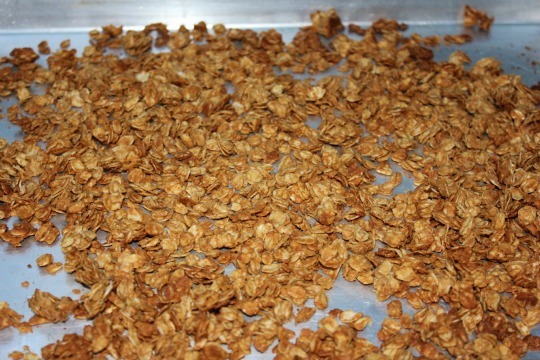 Granola will get more crunchy as it cools. that does look easy! Love the idea! I love pb! Pinning, if I may.